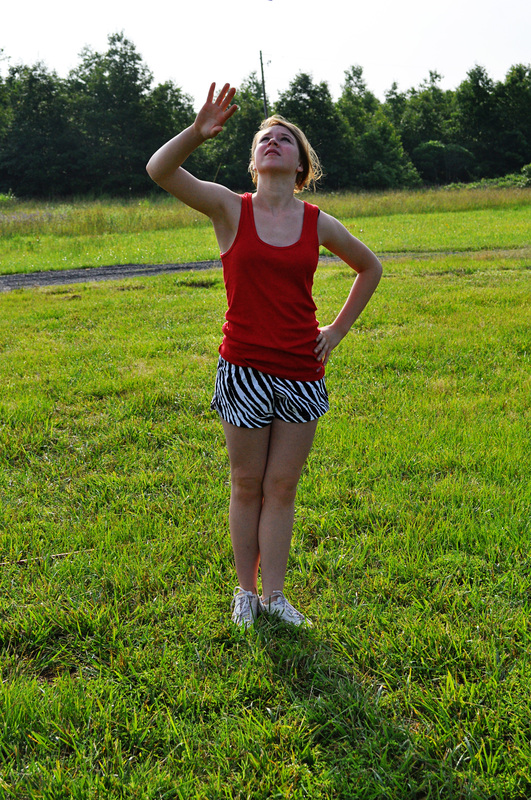 At the end of the school year tryouts began for next years 8th grade majorettes. 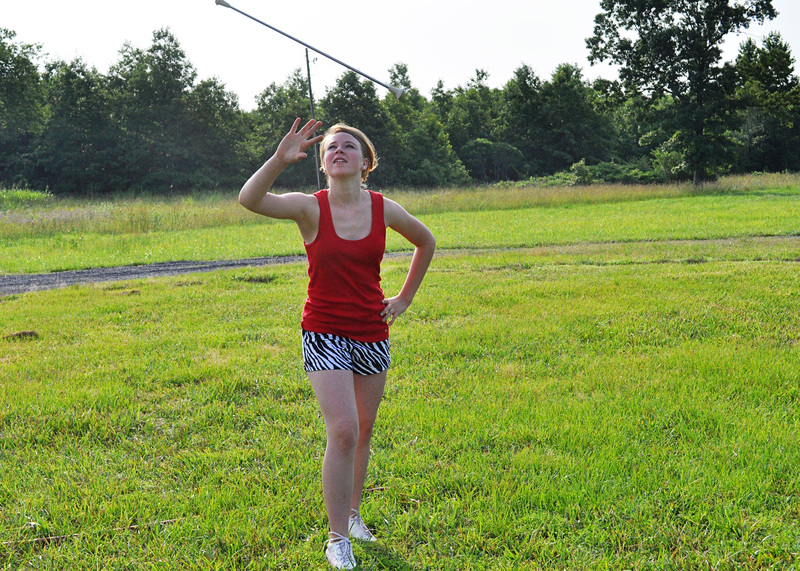 It was a three-week long process of buying the right baton and attending after school practices and twirling and twirling once she came home. At the end of the three weeks my daughter was astoundingly adept at twirling that baton between her fingers and tossing it into the air and catching it! I was amazed I tell you. Tryouts did not pass without some mishap causing the judges to reschedule another tryout day shortly before school let out. Our daughter found her name on the list after the first tryout and we were all ecstatic to have a twirler in the family. Coach called shortly there after to confirm a snaffoo in the results of the judging. 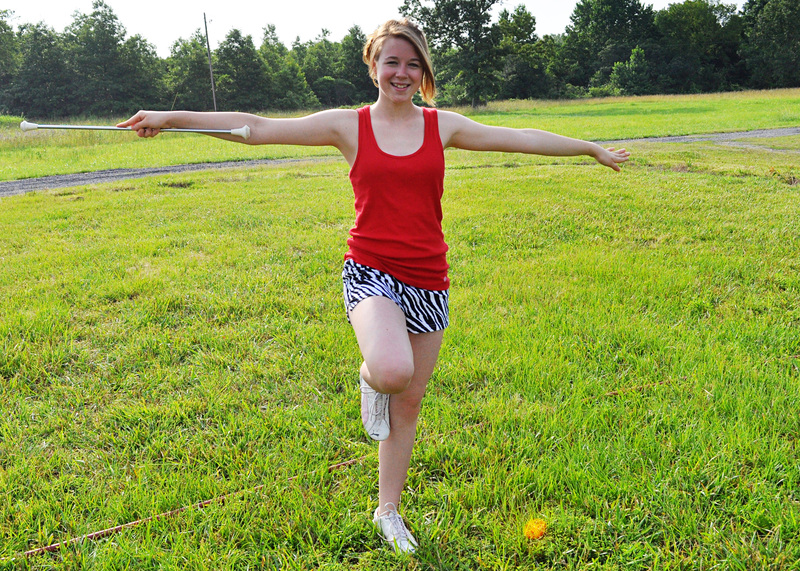 Three days later, though, she arrived home, all smiles and announced she truly is a majorette in the band next year. The caveat to this is she will have to continue playing the clarinet. A loathsome task, but nonetheless a necessary one to be a majorette. She has great form doesn’t she. I love the way she tosses that baton. Watch as she catches that thing with natural grace. Amazing. I can’t even begin to twirl it in my hand and she stands there relaxed and at ease. That skinny rod just pops into her hand effortlessly. She is so cute. My youngest… look how big she is already. I’m starting to have motherhood withdrawal symptoms. I can’t believe she’s been here only thirteen short years. This child is another little slice of heaven for today. You must be so proud. She is so lovely, such grace and poise. I bet she gets it from her mom. Doesn’t she? She’s beautiful and talented to boot. 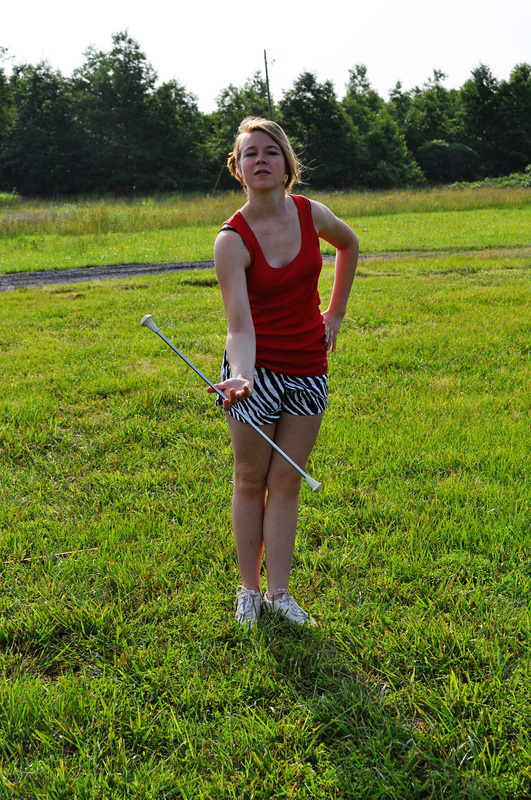 I used to be able to twirl a baton. I don’t think I’d be able to do it now though. Congrats to her on becoming a majorette, even if she does still have to play the clarinet. Your daughter is beautiful. She looks a lot like her mom. Congrats on her success! She looks great with that baton. Hope all goes well with it next year! I know the feeling about withdrawl, my daughter turns 15 next week. The years have flown by. 3yrs left till shes gone on her own.